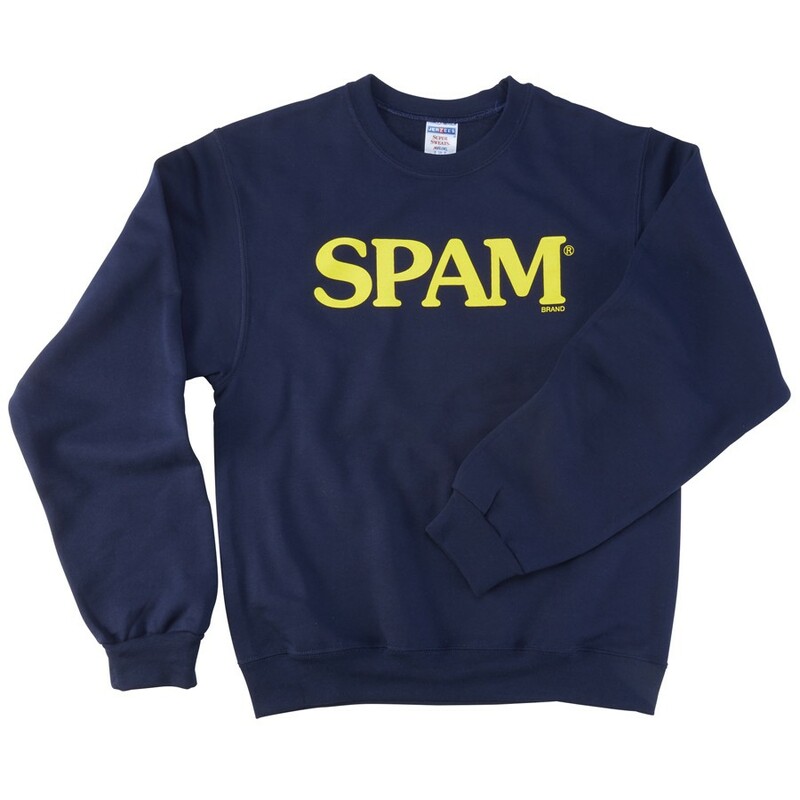 Heavyweight navy crew neck sweatshirt with SPAM® Brand printed in yellow on the front. This traditional sweatshirt is a favorite. Available in youth and adult sizes.